There is a sale going on at Lataza. 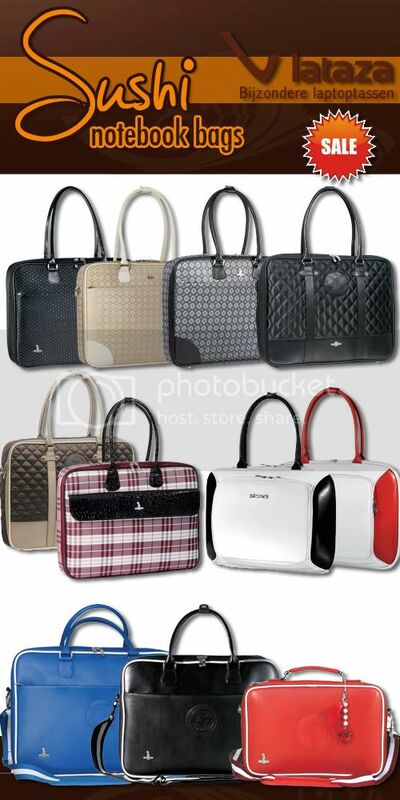 Lataza is specialized in fashionable, trendy, so not boring at all notebook bags. I thought it would be nice to show that you don't have to walk with a boring notebook bag, like most store's sell. That there are more fashionable one's. Check the site to see all the other fashionable and hip notebook bags they sell.